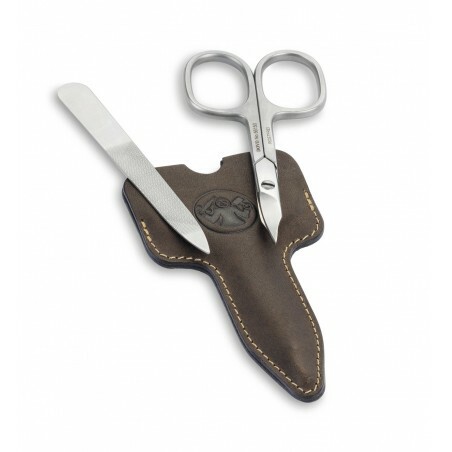 - Dovo curved nail scissors are specially designed to easily make their task. - The nail file is stainless steel satin finish. 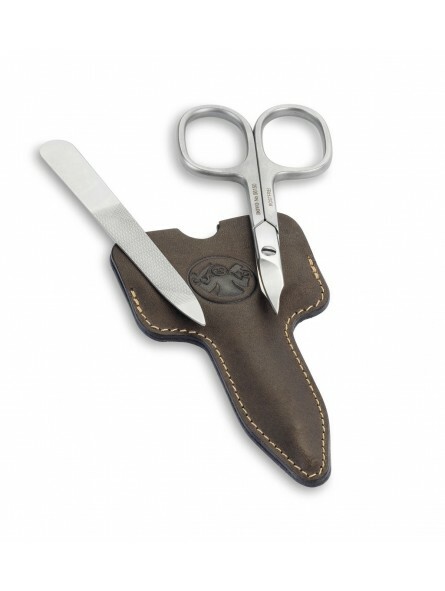 - Both, nail scissors and nail file are presented in a cowhide khaki color pouch which makes it ideally when travelling or just to store safely your manicure tools.